Resource > Video > How to Convert AVI to MP4 File Format in 2019? Summary: This article lists 3 powerful AVI to MP4 converter to help you convert AVI to MP4 easily and quickly. If there was a better way in 2018, than in 2019 the world clock would have to run in the opposite direction. However, things only get better with time. In 2019 we shall list some of the best and free resources in terms of software to convert AVI to MP4 file format. In terms of AVI to MP4 converter, we shall also seek more than just conversion speed but also ease of operation, UI, and many others to compile the below list. It is difficult to review thousands of software, but it is easier to find the ones that offer the best using the given list of features it offers, including what more it can help us as a user to do with them. The AVI is a versatile movie or video file container also known as an audio video interleave or AVI introduced by Microsoft way back in 1992 when many of us were born. The purpose was to have a file format for the Windows series of software. Since it stores both audio and video together, it was a new style back then. So, most of the PC users through the two decades of Windows usage may have lots of such files on their racks. MP4 is the most popular multimedia container format that is used to store audio and video digital data. MP4 is a compressed video format, so generally it is smaller than AVI. MP4 is supported by nearly all portable devices and media players. This is a superb place if you're looking to convert between small files and don't want to allocate too much resource such as hard disk space, deal with compatibility issues while installing any software, deal with malware downloaded with them and so on, zamzar is a credible file conversion software. It is super easy to convert the file using just 4 steps. The first step is to add the file, from your computer by browsing to the location or using the URL of the cloud storage location of your file. Since these days all the backups are done in the cloud you may have your files there as well. The second step is to choose the MP4 file format for output. The next step is to enter the email address to send the converted file URL, which also sits somewhere on a cloud of zamzar. Finally, you agree to their terms and conditions and press the “Convert” button. This starts the process. There is a humongous list apart from AVI to MP4 only and it is a completely free AVI to MP4 converter. The time taken can't be comprehended so easily, but it shall include not just the time for conversion, but also the time for uploading and downloading. It is therefore advisable only if you're on a very great network. The conversion shall be done on a computer that has some software installed on it that does all the conversion for you whereas zamzar is the front end API that takes the requests and processes it through. This is an offline converter that supports both Windows and Mac versions. This allows you to convert AVI to MP4 so that you can playback them using QuickTime and also do editing stuff using Final Cut Pro. The file conversion is a 3 step process that starts with adding the media file, selecting the output format as MP4 and hitting the “Convert” button. Their best offering is the Professional AVI to MP4 Video Converter. 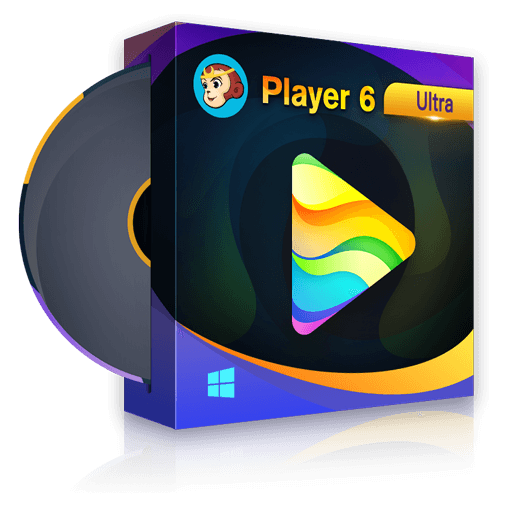 The full package is called Wondershare Video Converter Ultimate for Mac and is equipped with a lot of tools and presets completely for the Mac family. It supports up to Mac OS 10.12 backward to 10.6 and on Windows 10 to XP. The software is offered completely for free and is, therefore, one of the best AVI to MP4 converters. The addition of files can be done in two ways, that is the browser dialog box or the drag and drop feature. Then you can edit the video and view it in real-time, add various effects and so on. Finally, set the output as MP4 or alternatively you can find various presets like iPod, iPad, iPhone and so on. Wondershare also has a free version of the Ultimate pack. This is a piece of software that also has the above list of functions and almost the same stuff as editing window, real-time preview, drag and drop and so on. It also does all of those utilizing the latest of the technology for CPU and GPU usage. The HD versions of them and rendering such quality can take long hours. DVDFab can cut it down manifold times using Intel Quick Sync, NVIDIA support and multi-threading and batch processing capabilities. Of course, it is a professional AVI to MP4 converter that can convert AVI to MP4 easily and quickly. It provides you several MP4 files like MP4.4K, MP4.H265 and more for you to choose. The whole process of starting converting AVI to MP4 is pretty easy: add the video file, choose a MP4 file and click the “Start” button. So even novice users can learn this easy-to-use converter quickly. But if you are a professional, you can also make some advanced settings and edit the video as the way you like. It’s not free but it provides 30-day free trial, during which period you can enjoy all its features freely. Come on and have a free try now! So which video converter is the best AVI to MP4 converter for you? If you don’t know, just try them yourself! Do let us know if you need our help on anything. This post introduces you the tools to convert AVI to MP4, but if you do not want to go through the steps of converting videos, you may be interested in these top 20 best AVI players for Windows/Mac/Android/iOS. Here is the collection of the most popular Hollywood movies in 2017. For converting or ripping top Hollywood DVD/Blu-ray movies to Samsung, LG and more portable devices, you can use DVDFab DVD/Blu-ray Ripper. Please check out these top old school rap songs of the 80's and top old school rap songs of the 90's for leisure listening pleasure.